After birding with some friends today I went on to do some birding in the Bighorn Sheep Canyon west of Canon City. I spotted 2 Pinyon Jays that I followed by car for a ways then unable to drive where they flew I went on to check on American Dippers. When I drove back that way I refound the jays in some pinyon juniper. I watched from my car as some unknown number of Pinyon Jays flew about and called. I wondered if this could be a nesting area. 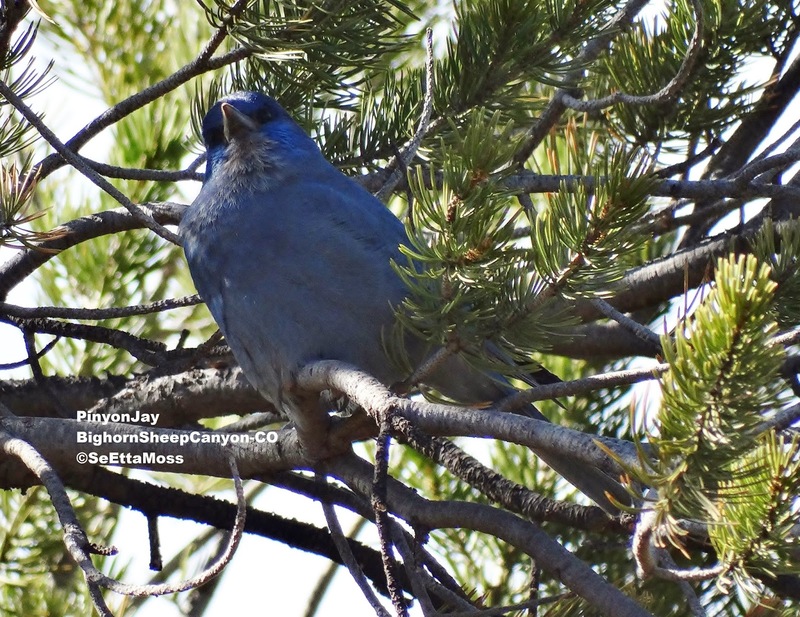 Though I have found Pinyon Jay creches before I have never found a nesting area. I walked in and found this bird perched rather quietly. It allowed me to approach on foot most unusually close, only about 40 feet away when it moved further inside the tree.